Sprouting… it's definitely a thing here at Traditional Cooking School. Sprouting is one of the ways that we make seeds (whether grains, beans, nuts, or seeds) more nutritious and digestible. It's also an amazing process for kids to get involved in. And makes pretty yummy foods, too! Let's say you wanted to have 4 jars of sprouts going at the same time. You're looking at needing $28 for the screens. No, it's not a ton of money. And granted, it's an investment that will last you a long time. But maybe $28 is your entire discretionary amount for the month. Or maybe instead of buying factory farm chickens, that $28 could get you a pastured chicken instead. And to Morgen, Traditional Cooking School member, $28 was more than she wanted to spend. So she came up with DIY sprouting lids that cost her 5 cents each! When she posted about her crafty solution in our private members-only Facebook group, I immediately asked her if we could share the tutorial on our blog. She said yes! Thank you, Morgen. So, I wanted to do some sprouting to make my kitchen processes more efficient and so I wouldn't have to do so much overnight soaking. Well, I couldn't afford the sprouting screens and the sprouting lids, so I gave myself a few days to figure out a way to get it done. This is what I came up with, and I got myself $.05 sprouting lids. The way I see it, there are enough things that you have to pay the money for but there are also many others that can be made at home so much more affordably. Sure beats spending $7.72 apiece! We agree! It's a great savings and definitely worth doing! Thanks for letting us share your tutorial, Morgen. 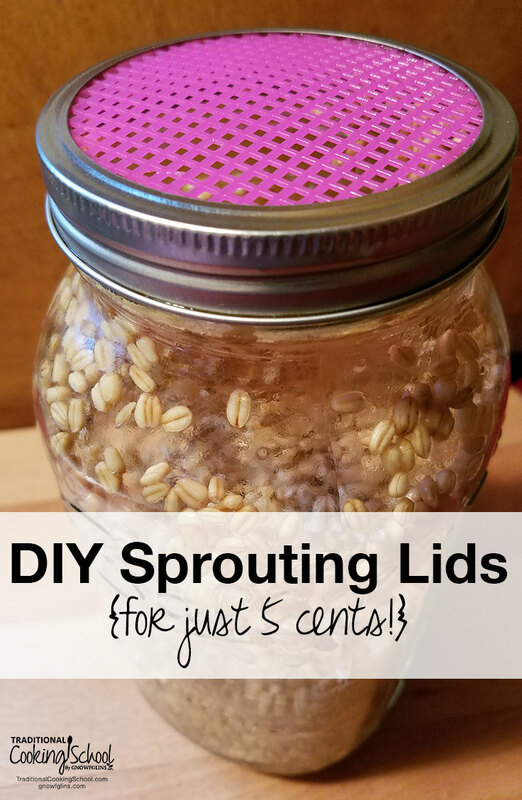 And now… Here's how to make your own DIY sprouting lids for just 5 cents each! 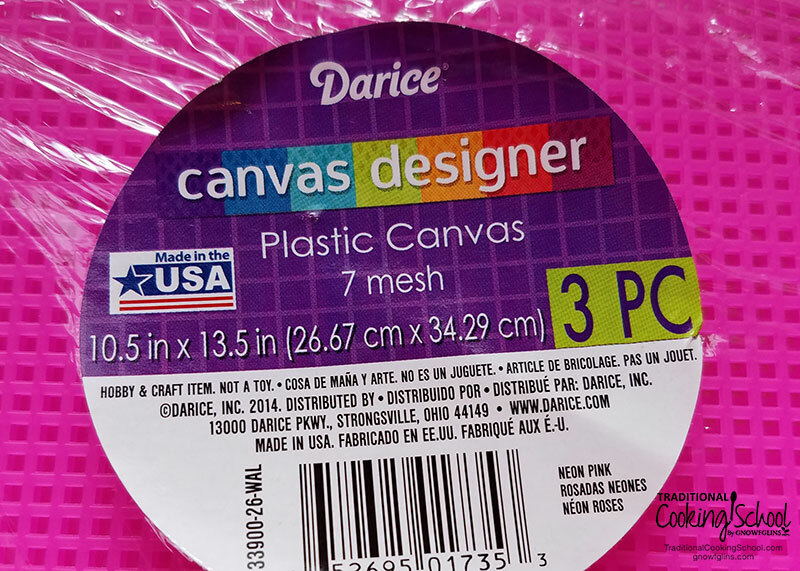 Morgen says she purchased a 3-pack of plastic canvas in the craft section at Walmart for $1.99. 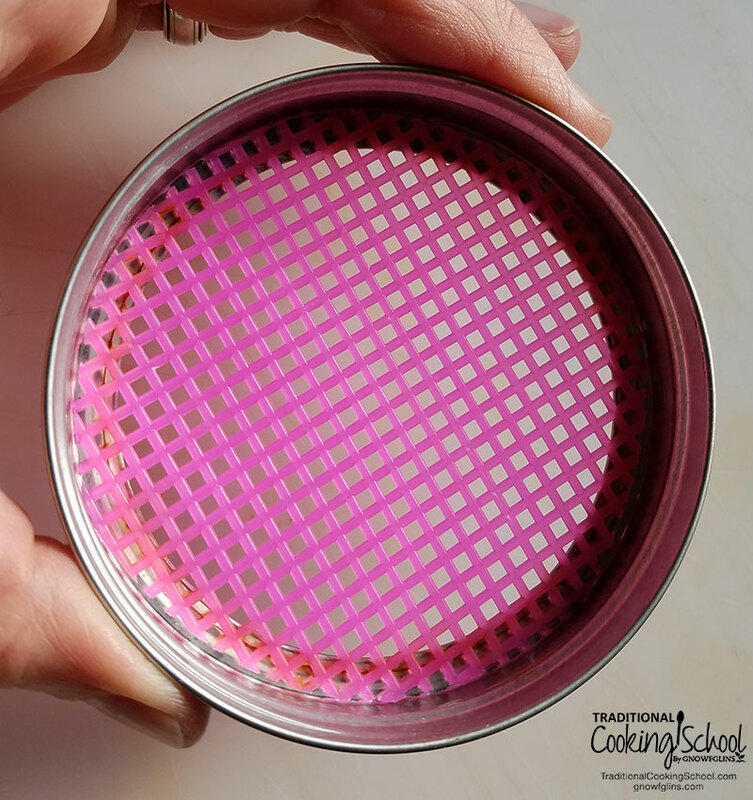 Find a canning lid the size that fits the jars you want to use for sprouting. You can use wide-mouth or regular-mouth jars and lids. We recommend wide-mouth for ease of getting sprouts in and out of your jars. 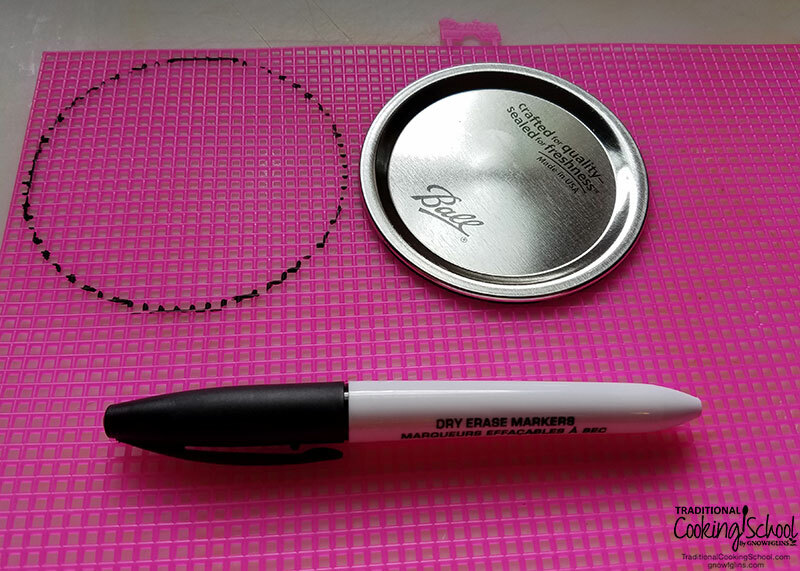 Place the jar lid (not the ring) onto the plastic canvas and trace around it with a dry erase marker (so it will easily wash off). Fit as many as you can or need on the plastic canvas piece(s). Cut around the circles you traced. Place the plastic canvas circles inside the rings for the jars you are using. You are ready to sprout! What do you think of Morgen's DIY Sprouting Lids? Will you be making some for yourself? Thanks for sharing! I can get that done this weekend and not have to wait on shipping!! Just another thought, dehydrator perforated sheets would be a better choice to cut out a bunch of perforated lids. I just did a search and you can get 10 full sheets for about 12 dollars. That is still a much better value and is safer. 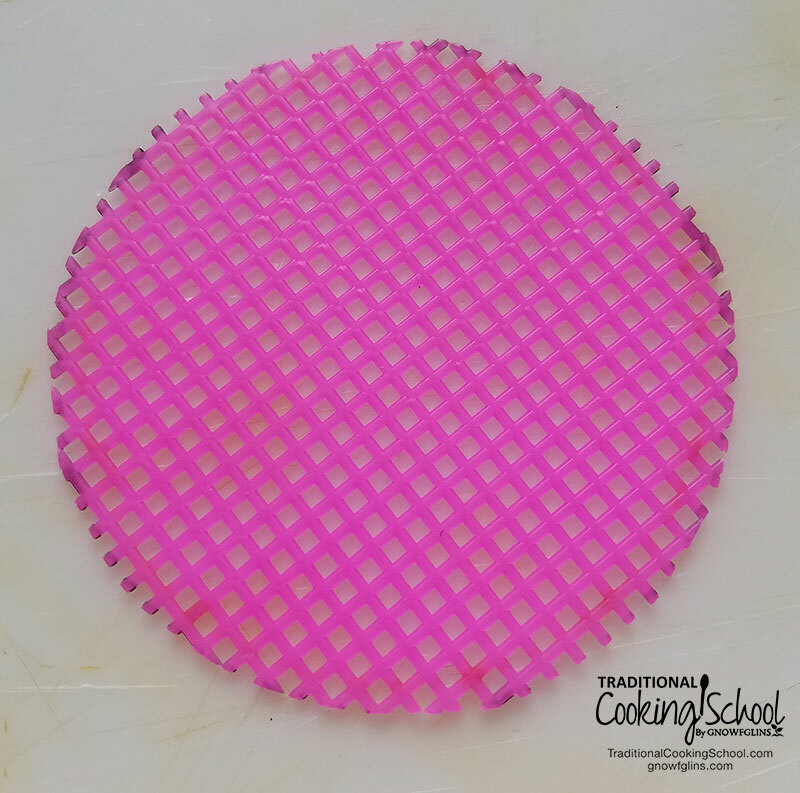 Hi Barbara where can we get these perforated sheets for the dehydrator? Hi Yvette. I see you can get 10 “Dehydrator Netting Sheets” for $10.55 on eBay….with free shipping….yay! I agree. A lot of people (myself included) sometimes over analyze things. I’m pretty sure using aluminum window screen as the lid on a sprout jar won’t have much impact in the grand scheme of things. FWIW some window screen is made of plastic, which I guess to some people is just as bad. It’s what I’m using for my lids though because I have a lot left over from when we re-screened our windows. great idea, wardee. thank you. i’m forced finally to do a bunch of these things that i’ve put off for so long….i’ve had the seeds to sprout for awhile. a detox before and during amalgam removals is spurring me on to get all those superfoods into my diet. i’m always so grateful for the help tcs is in so many ways…i keep discovering more and more of the wealth of ideas and information and consider it rather astounding that you have so much knowledge and help to offer. i’m so appreciative. a piece of muslin and an elastic band will do the job too – that’s what my mum used to use! especially if you don’t already have the 2 part jar lids, but have the jam jars that you’ve kept from other uses! I just use cheesecloth but it get a bit drippy after a rinse. This looks easier. Great idea!! I use the plastic lids ($7 for 3 different size a at Amazon) and they always get stuck on the jar….I had to pry the lid off with a butter knife today… Crazy!! Your idea is much safer ??? ?Thanks for sharing! nifty idea! 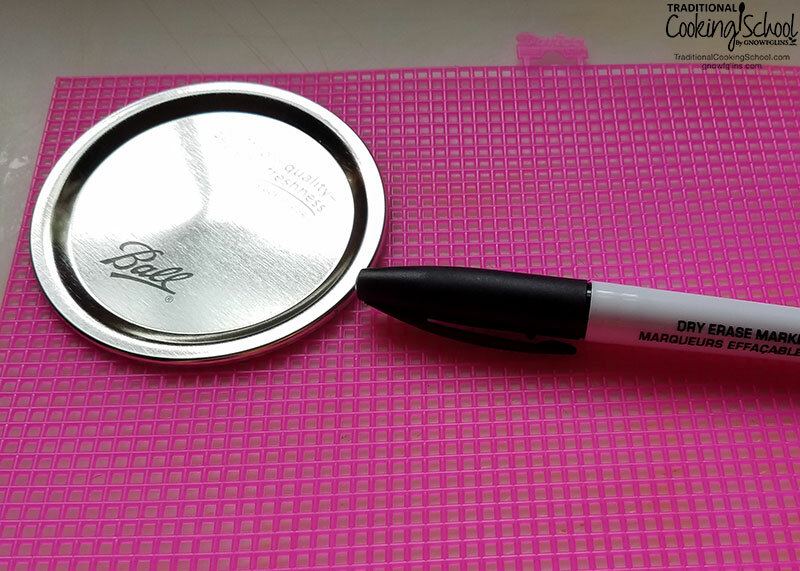 no doubt worth while compared to the sprout lids – i got 3 with varied mesh size years ago; actually they are plastic as well 🙂 but i think they were may be $5 or so for the set. For tiny seeds, like clover, I use fine mesh tulle. You can either use a rubber band or the canning lid ring. I loved this idea but discovered that the metal in the lid ring doesn’t handle the constant water contact. Right from the start I was getting black puddles around the lid. Really gross. Anyone else experiencing this? Did I miss something? Stainless Steel Screen. Fits a wide mouth mason jar. The screen does not rust – what rusts is the metal rim that screws onto the jar. The metal rim is made of an alloy that contains metals which rust. Use a little bit of olive oil on the rim to protect the screen from the alloy metals.